In the past few days we’ve had some cold weather here in Miami and that has me craving some warm comfort foods. I opted for this version of the Cuban Picadillo. 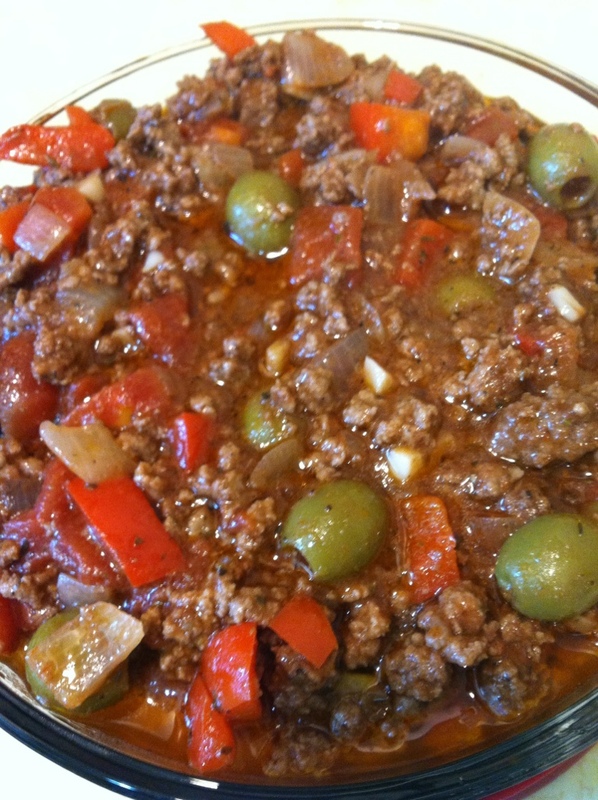 Brown ground beef with olive oil, onions, and green peppers. Add remaining ingredients and stir. Simmer, covered, for 10 minutes. Uncover and simmer until most of the liquid has evaporated. Remove bay leaves and serve warm. I served mine over some spaghetti squash. I also made a few changes: used whole olives (ain’t nobody got time for all that chopping) and used red bell pepper because that’s what I had at home. « Oatmeal in a Jar!